The Muscle Injury Panel 2 (rat) Kit allows monitoring of energy homeostasis, calcium-dependent protease action, and neuromuscular disturbances that are often associated with muscle toxicity. 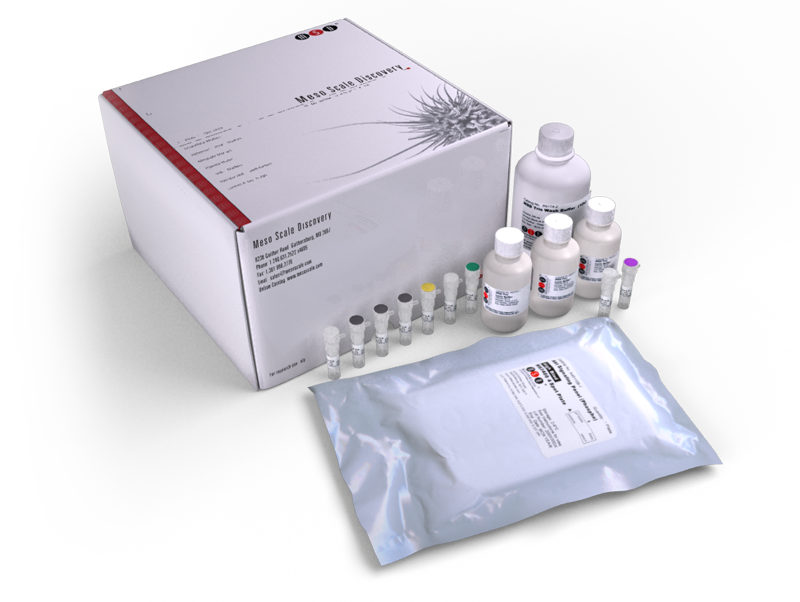 The Muscle Injury Panel 2 (rat) Kit provides assay specific components for the quantitative determination of endogenous tissue inhibitor of metalloproteinase-1 (TIMP-1) and creatine kinase (CK) in rat serum, plasma, and cell culture supernatant. TIMP-1 is an endogenous inhibitor of matrix metalloproteinases (MMPs). TIMPs have been implicated in direct regulation of cell growth and apoptosis. TIMP-1 plays a role in pathogenic processes associated with rheumatoid arthritis and cardiovascular diseases. It can bind to both activated and latent forms of MMP-9. TIMP-1 is associated with inflammation and vasculitis, both of which can result in muscle damage. CK is an enzyme that catalyzes the rapid regeneration of ATP. It allows muscle contraction by transferring the phosphoryl group from phosphocreatine to ADP, resulting in creatine and ATP. In rats, CK activity is present in heart, brain, skeletal, and smooth muscle. Increased CK concentration is indicative of muscle injury.